Aimed at the beginner, the iMac personal computer from Apple is a very powerful and user-friendly machine. David Pogue explores and explains its most important features and offers a number of tips and tricks to get the most out of this modern machine. David Pogue grew up in Shaker Heights, Ohio and later graduated from Yale University. After graduation, Pogue wrote manuals for music software, worked on Broadway and Off-Broadway productions, and wrote for Macworld Magazine. 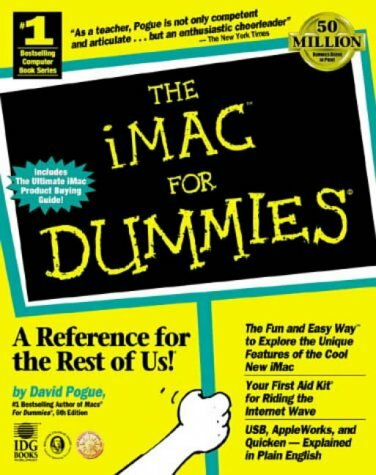 Pogue wrote Macs for Dummies, which became the best-selling Mac title, as well as other books in the Dummies series. He has also written the book, Hard Drive and has co-authored The Weird Wide Web.